Would you like to save some money, have fun and at the same give your mollies better food? Make your own fish food! It isn’t that hard and you mollies will love it. It is ok to feed them with flakes and to be honest….flakes don’t cost that much if you don’t have hundreds of mollies and multiple tanks, but it all adds up and you might have most of the materials needed already in your fridge or at your local grocery store. You can find multiple recipes from the internet, but basically with mollies it comes down to having some vegetables and probably some protein (shrimp, white fish) if you want to add vitamins, spirulina etc. to make it more professional you can, but it is not necessary. Add everything to blender and create fish food smoothie. It looks and can smell pretty nasty, but don’t worry about it. After creating that lovely smoothie, you add gelatine or something that will make your DIY fish food hold together. After adding gelatine you can pack it to ice cubes or flat ziploc bags, cool it down and freeze it for later use. It is ready to be served to your mollies after cooling. You can give the frozen cubes straight from the freezer. Cubes usually float and it is fun to watch mollies eating them like there is no tomorrow. So there you have it. 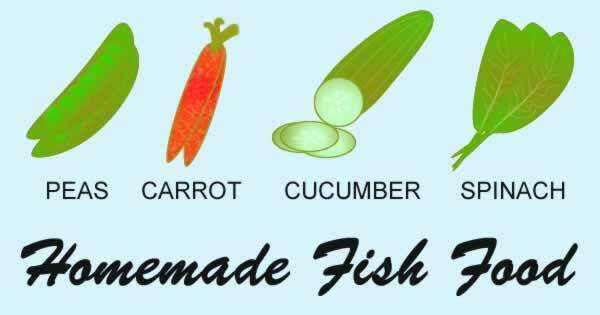 Not much science behind it, but lot of small easy steps to make your own homemade molly fish food. Mollies love almost all vegetables, but they seem to enjoy peas, cucumber, spinach and other soft green vegetables. Why don’t you start steaming vegetables for your self to eat and save some for your mollies? Just don’t add any salt, butter or spices to ones you give your mollies. You and your mollies would be eating healthier and saving some extra money at the same time. Do you have a special mix for your mollies or any other tips for home made molly fish food? Let us and everyone else know! Can you tell more about symptoms and your tank? Water parameters such as pH? Hi Anish! You should try to keep water temperature between 70°F-82°F so that is around 21°C – 28°C. I would recommend using submersible temperature controlled heater such asEheim Jager. Those last forever, I had one from the 90’s and it still worked after years of storage. What do you think of Omega One fish food brands? I heard they are pretty descent for feeding mollies. I feed mine just the generic tropical food. Hi Amanda! Omega one is good brand! I’m testing now Tetra Pro Algae, but they seem to start spitting flakes quicker than usual and it creates a cloud of food 🙁 I try to give my mollies microwaved peas (soaked in garlic) and fresh vegetables as often as I can. Thank you for commenting! Can you feed mollies beans / tomatoes / cabbage? is it other fish food a molly fry ? can you explain this i never know to to take care of molly fish in decent way? Koi fishes and gold fishes tends to keep on eating that gets on its way…. Definitely small fishes are the food for other fishes.. my suggestion is… Keep all Molly fishes in a separate tank with no other types of fishes..!! But my tank is only molly fish tank I am having all mollies of a different color in it.I don’t know why they eat their own babies I cannot afford a breeding tank or fry tank for babies birth as a separate how I can manage it? if you going to bread mollies put one per in glass container of put 3 to 5 per in closed container(like cement tank or plastic tub etc..) it will help you to bread well. hi, guys, I have three colors of mollies in a tank ( white, black and mixed black and yellow ) . while I feed food they started to chase another and bites what can I do I don’t know all the time same things happen.